Madiba is from 3th owner and is one of the last Standfast 40P’s built. She is in very good condition and it has a brand new Yanmar engine (2015). Her teak interior is also in mint condition. New teak decks were laid in 2007 and she has a lowered entrance instead of the standard bridge deck. New Raymarine instruments installed in 2012 including large screen E120 radar/chartplotter. The yard is known for building high quality sailing yachts for comfortable and luxury sailing. 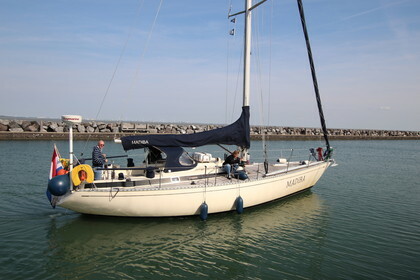 The boat has 1 spinnaker, all new mainsail, genoa, sprayhood, winch and steering wheel covers (2014).